So my birthday celebrations carried over to the next weekend along with my friend A’s birthday, us four girls had a night out on College Street in Little Italy. 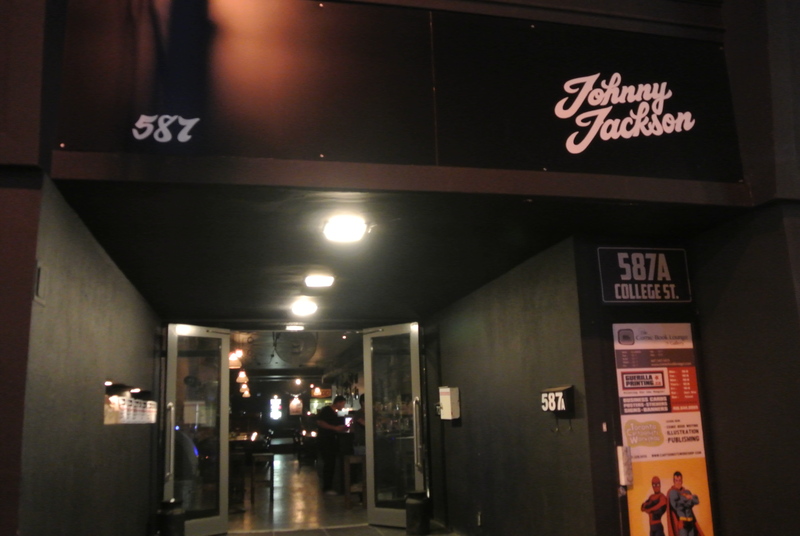 We had a fabulous dinner (will tell you all about it in my next post) and then stumbled a couple of doors down to a funky little joint called Johnny Jackson! Owned by a few cool dudes and none of them named Johnny Jackson (you’ll have to figure that one out? )…..they opened their doors a few weeks ago to a great crowd! I didn’t get a chance to try all their food but the deep fried mars bar was fantastic…..a great finish to a great night! Their food comes in these easy takeaway boxes but I challenge you to resist the great smells coming from the box. And as if the food isn’t enough, drinks are only $6 – so i anything, stop by for a drink or two or three! Thanks for a great night! 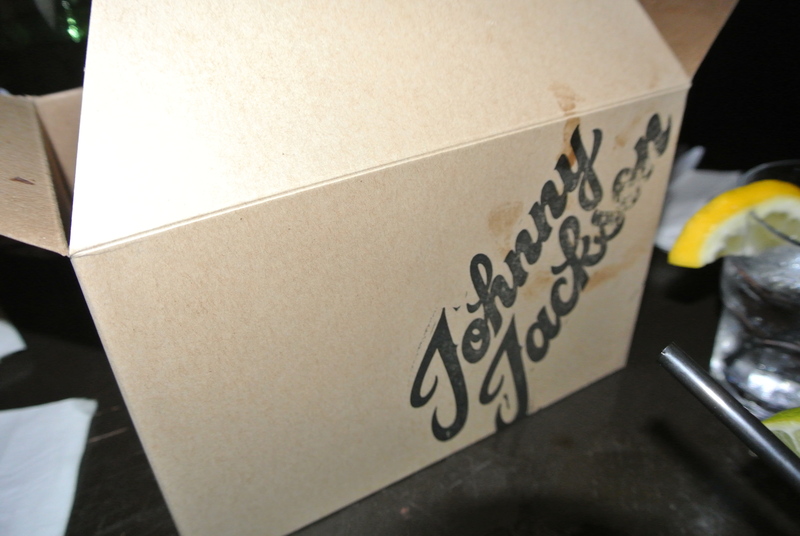 Love the take out boxes at Johnny Jackson! 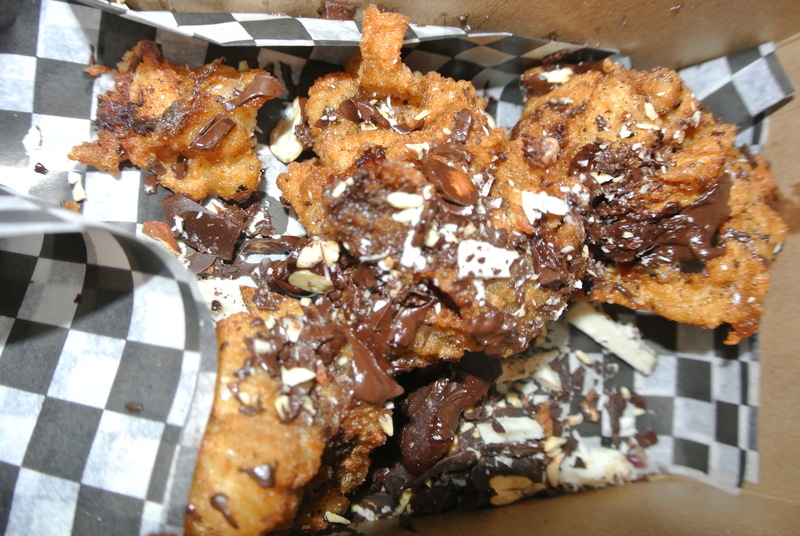 One of the menu items at Johnny Jackson – Deep Fried Mars Bar! Delicious!